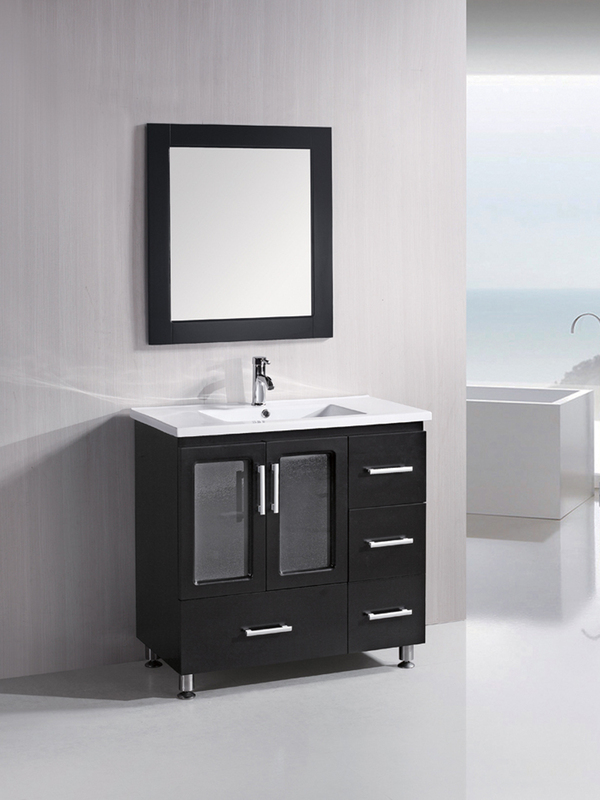 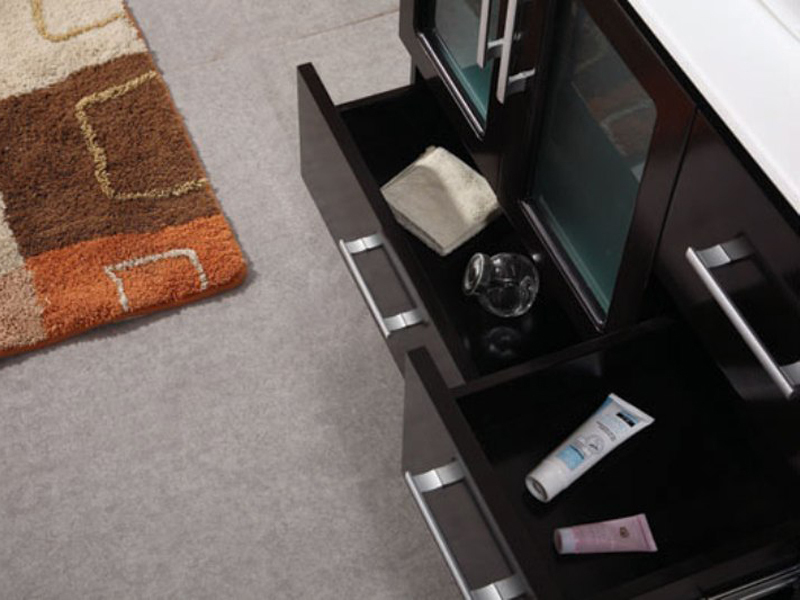 The Stanton Single Bathroom Vanity creates a modern look with its simple design, clean lines and satin nickle accents. 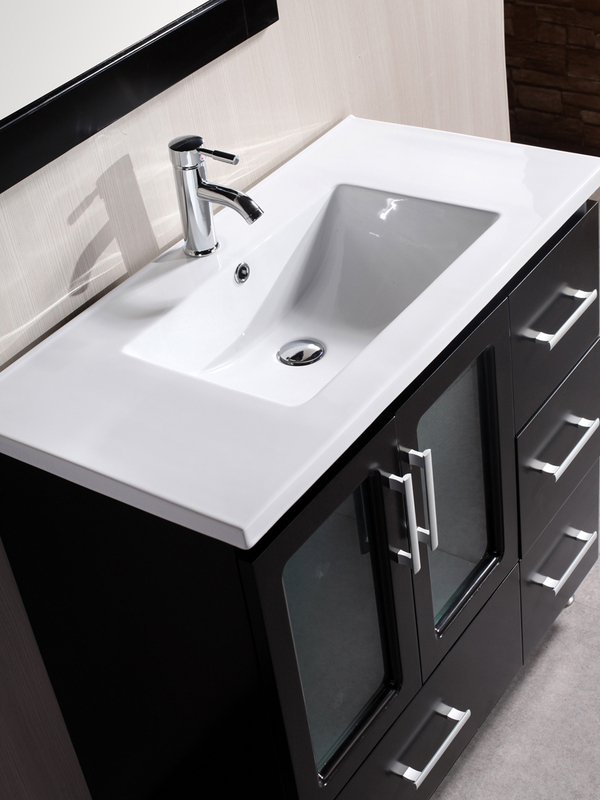 Combined with the starkly contrasted white porcelain counter top and espresso cabinet, this single bathroom vanity will look stylish in any contemporary bathroom. 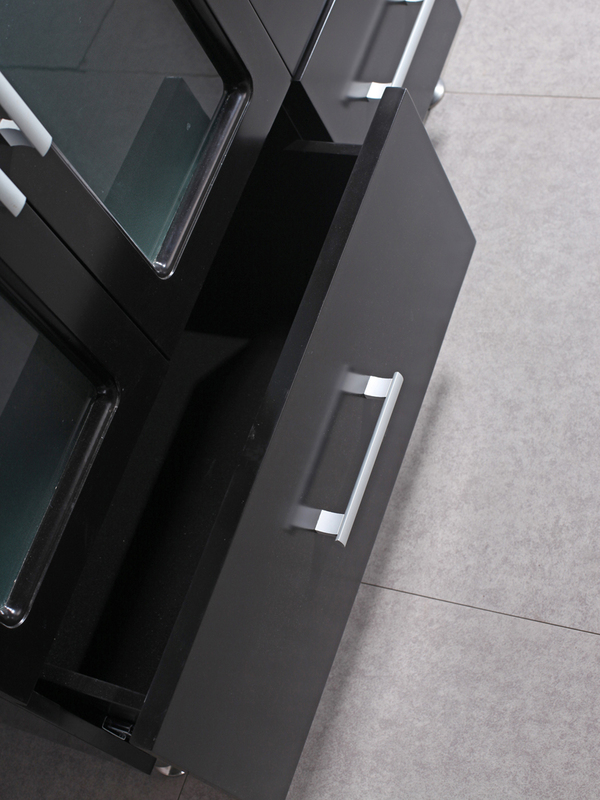 The cabinet has four pull-out drawers and a soft-closing, double-door cabinet. 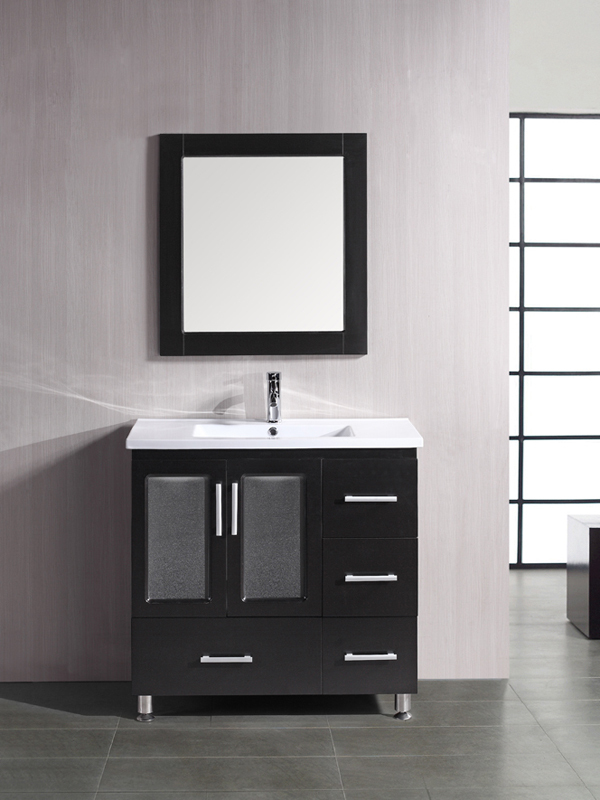 This vanity provides plenty of storage space for your bathroom accessories, such as cleaning supplies, bath towels, and toiletries. 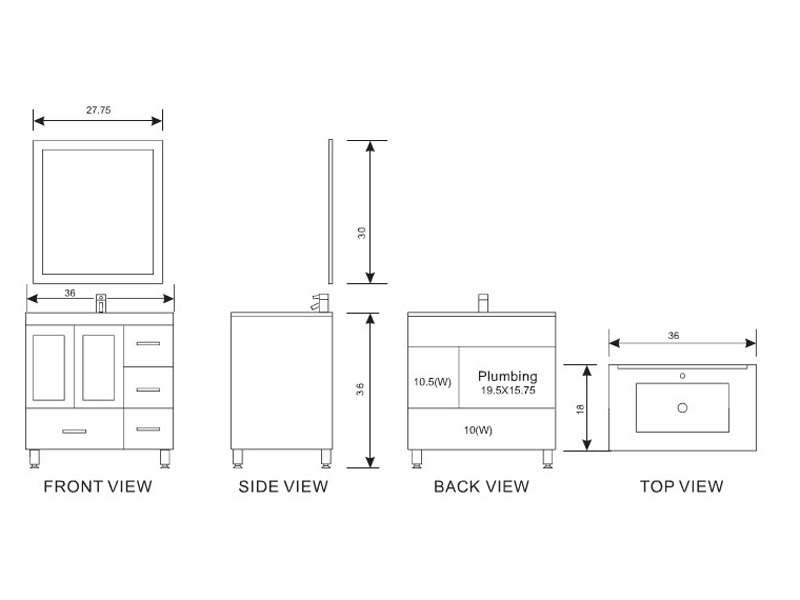 The cabinet itself is sturdily constructed from solid oak, ensuring that it will retain its beautiful form for years to come.